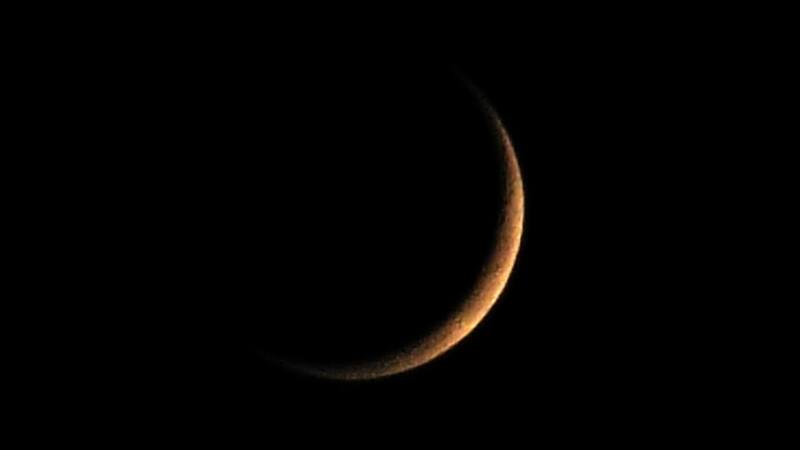 The new moon on the 1st of March 2014 is the first of two new moon’s this month, the next one being on March 30. The March 1 new moon is at 10 degrees Pisces, just into Pisces decan 2. This is a generally positive new moon, allowing a chance to overcome some of the difficulties posed by other, more difficult influences during March 2013. This new moon will affect decans 1 and 2 of most signs, which you can read about in the monthly horoscopes. A new moon represents a new start for this month ahead, with the best time for initiating new projects and putting plans into action being the first two weeks. This is the waxing phase of this new moon cycle, up till the March 14 full moon. The new moon conjunct asteroid Chiron is both a positive and negative influence. It suggests some wounds will be opened up, but at the same time, it allows for the healing of these wounds. This new moon will lean more to the healing side of things because it is trine both Jupiter and the previous solar eclipse. A new start could then be in the area of healing relationships issues, or adapting to some big and uncomfortable changes occurring, as shown by the other major aspects in the new moon horoscope below. The new moon trine the November 2013 Solar Eclipse means we can make good progress on the restrictive conditions and hardship resulting from that previous solar eclipse. The new moon trine Jupiter means we can draw on strong faith and expect to make big gains in personal growth and happiness. There is a lot of room for improvement in these areas. That November eclipse was conjunct Saturn, and in the Southern Cross, constellation Crux, portending very trying conditions with much belt-tightening and sacrifice. We also begin this new moon phase from a difficult position because of the other two strong aspects shown below. Jupiter square Uranus is exact for the second of three times, just a few days before this new moon. This causes impatience and a strong urge to break free of restrictions, which could lead to unwanted disruption and unexpected events. We move closer to home, to the inner planets now which have a more personal effect. Venus square Mars is not a good omen for relationships, especially those of an intimate nature. This is the battle of the sexes, made more intense as Mars turns retrograde only hours after the new moon. The wounds that need healing therefore, relate to lingering anger and resentment over a broken heart, or some building tension within a relationship. Mars retrograde during this new moon cycle means that anger may well get pushed down, making it more dangerous. Jupiter square Uranus further inflames this buried anger or jealousy, creating very tense conditions where any small upset could trigger the abrupt release of anger in a hurtful manner. The new moon trine the previous solar eclipse suggests the issues exposed by this new moon have been simmering, and have been blocking progress for a number of months. The trine aspect also means that progress can be made using patience and a mature attitude. The new moon trine Jupiter facilitates honesty and a mutual willingness to reach a positive outcome, where both parties can maintain a self esteem and hope for the future. The new moon conjunct Chiron, in the critical arm of the grand trine, suggests the first two weeks of March 2014 will result in the healing of deep and painful wounds, which have been festering for some time now. How all this pans out in the end will depend on the waning two weeks of this new moon phase, which we will uncover soon when I a look at the full moon March 2014 astrology. For a list of all the moon phases this year see Moon Phases 2014. Yes, it should be. It will give you direction and put you on the right path. This is such a mix – anger-healing/suppressed – released! I am keeping a moon journal and see that notes must be made in between the new and the full for a useful accounting. Thanks for the links to 2013! This is an excellent idea. I have been listing my transits for years in my diary. Try to keep up with jotting things down each day. Best way to learn astrology.